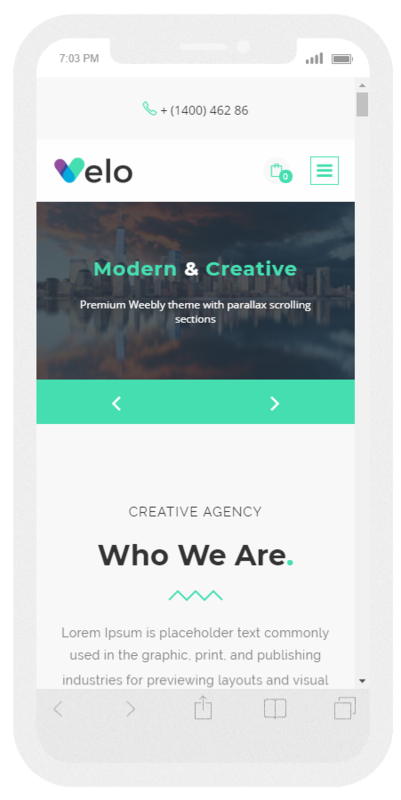 Looking for Parallax Scrolling Weebly template? 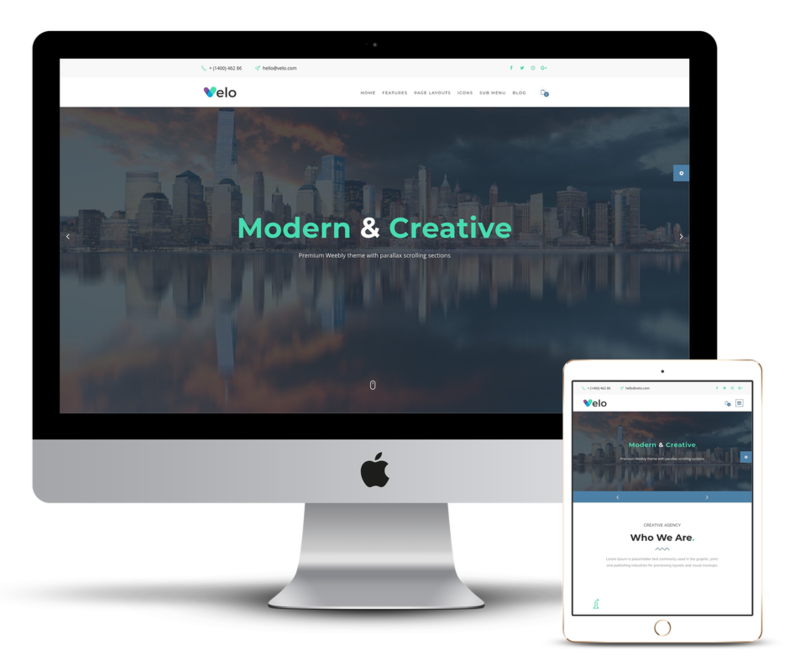 ​ Velo is a multi purpose parallax scrolling Weebly theme that is ultra sleek and mobile friendly. 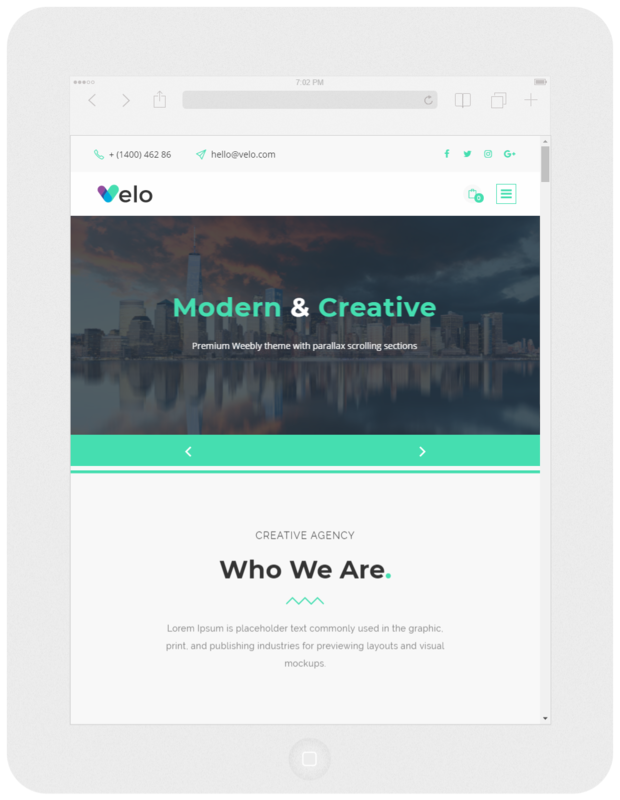 Velo really does pack a punch, ​create a super modern corporate template with ease. Complete with the latest web standards and cool features. Velo performs amazing on all devices. From desktops to mobile phones. It is clever enough to switch the menu's around for different devices for maximum user experience. This unique hybrid menu gives you the best of both worlds. You can chose between using the single page scrolling menu or the traditional multipage menu. 9 Page layouts to choose from, all you need to create the pages you will ever need in your website. Switch page layout/header type with ease keeping all content in tact. As always we aim to give more with our themes. Velo comes with some Custom header types specifically developed to work with Weebly and our custom features in harmony. Velo comes with the most advanced theme options panel in the world. ​You can choose to display or not display every feature with the click of a button, also you can change the amount of features and change the colour of every main element. Velo is a parallax scrolling weebly template and will give your website about as much charisma as it can get. With the choice of three header types for your homepage you will be sure to Wow your audience with stunning visual effects and overlays. The design of this template allows you to have lots of content on the homepage, the 5 main sections of the homepage are all set as scrolling menu items. so you click on the section in the menu at the top and the page will auto scroll to that section. In between each main section there is a parallax section, which uses the Parallax scrolling technique. The template is oozing with functionality too. As well as the stunning homepage, there is a built in portfolio filter that uses some great animation, and with the custom coding we’ve done in the back end of this Theme. 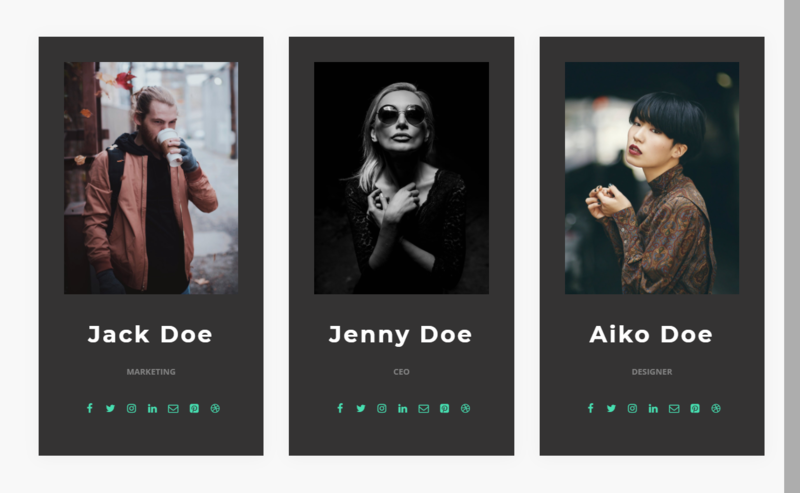 setting up the portfolio filter is as simple as clicking and typing. We have styled the standard Weebly form to fit in nicely with this theme too, wherever you may place it on your site. We have also added space for two additional page in the menu, so if you wanted a blog page or another page showing up in the menu you can. -Fix issue slider not loading fully on safari browsers. -Fix issue with footer not loading on safari. -Fix issue footer showing behind weebly sections if color of section not selected manually.